Baltimore was the 4th busiest station in Ireland this Summer clocking up 8 services each for the inshore lifeboat, Bessie and all weather lifeboat, Alan Massey. The busiest station overall in Ireland was Enniskillen, which operates two inshore lifeboats on Lough Erne and two Rescue Water Craft who launched 23 times. They were followed by Dun Laoghaire RNLI in Dublin and lifeboat crews in Bangor and Portrush who all launched 18 times each. 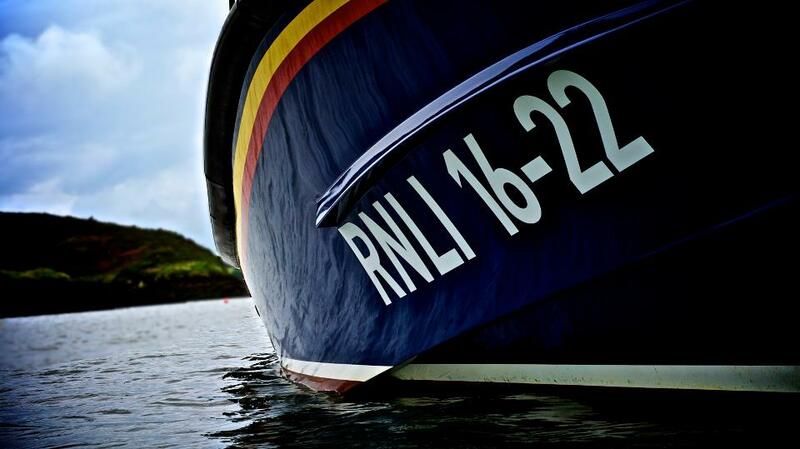 The figures, which cover the period June 1 to August 31 2012 and include all the charity’s lifeboats across Ireland, are down three per cent nationally compared to the 2011 figures, but Baltimore experienced a dramatic increase in services from 12 shouts in 2011 to 16 in 2012. So we have even more reasons to celebrate at our naming and dedication ceremony of our €3million Tamar class all weather lifeboat, Alan Massey next Saturday. Thanks to Turlough O’Donnell for this super photo and to Best Photos of Baltimore for featuring the lifeboat all this week in the run up to our big day.